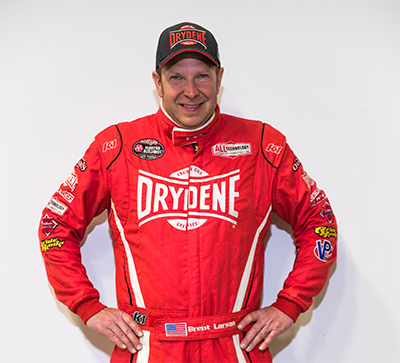 Brent Larson is a multi-championship winning dirt late model race car driver based out of Lake Elmo, Minnesota. He competes in the World of Outlaws Morton Buildings Late Model Series as well as various other high-profile dirt track racing series. Brent has over 104 career wins to his name with countless top podium finishes. Brent is the 2007 DTRA Late Model National Champion and has won the prestigious Cedar Lake Speedway track championship 5 times. Brent has won the Superior Speedway and Red Cedar Speedway track championships each once and he won the KRA Speedway track championship in 1995. Brent currently sits seventh on the all-time Late Model win list at Cedar Lake Speedway with 28 victories in the division dating back to his first Late Model win at CLS in 2006.